A few years down the road, Twitter was all the rage but not anymore. It had lost users to other social networks and is still struggling to keep the user base intact. Doubling the character limit for a tweet is just one of many such desperate measures that shows that Twitter is hanging on to dear life by a thread. From the social media marketing standpoint, a dipping organic reach and the sea of tweets burying your tweet can be a nuisance. Thankfully, that is one side of the coin. Let’s consider the other aspect as well. Do you know that 74% of Americans still use Twitter for their daily dose of news and 46% of them actually use it daily? You can easily overcome a dwindling organic reach by investing in Twitter ads. Twitter is still a powerful tool for brands and one of the fastest ways to reach out to and engage with your target audience. This brings us to the most important question; How can I use Twitter to grow my brand? To answer this question, we look at six best examples of brands that use Twitter efficiently and highlight what other brands can learn from them. Netflix differentiates itself with its content both on its app and social media channels alike. 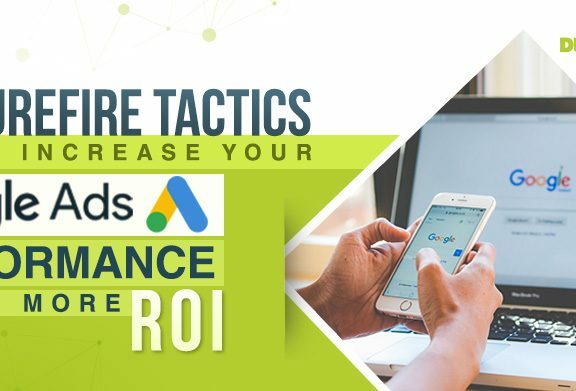 Yes, they have a massive budget to work with, but that does not mean that you cannot learn and adopt some of their marketing strategies to grow your own brand on social media. If you look at their Twitter account, you will see that they focus mostly on pop culture and create original moments and commentaries to make them stand out from the crowd. You will also find the latest news and retweets from followers. Apart from that, Netflix exclusively shares memes to keep you updated with the ever-vacillating trends riddling the internet culture. So, what can I learn from Netflix? Never underestimate the power of entertaining content. Secondly, the way they leveraged that content is a source of inspiration for others. Find elements of your brand that align with your brand personality and combine that with what customers want. The folks at JetBlue go to painstaking heights to delight their customers. They are using Twitter to gain a competitive edge over their competitors by surpassing customer expectations. Their team of customer service professionals answers every question you throw at them on Twitter. In an interview back in 2014. Laurie Meacham said, “We are all about people, and being on social media is just a natural extension of that. 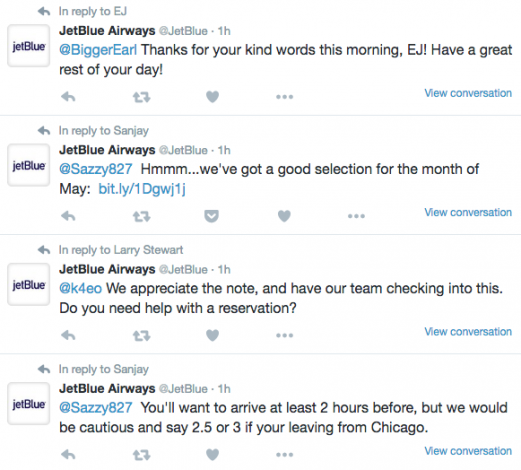 It is no different than any other part of the airline.” Interested in knowing more about their innovative Twitter strategy: check out this post. 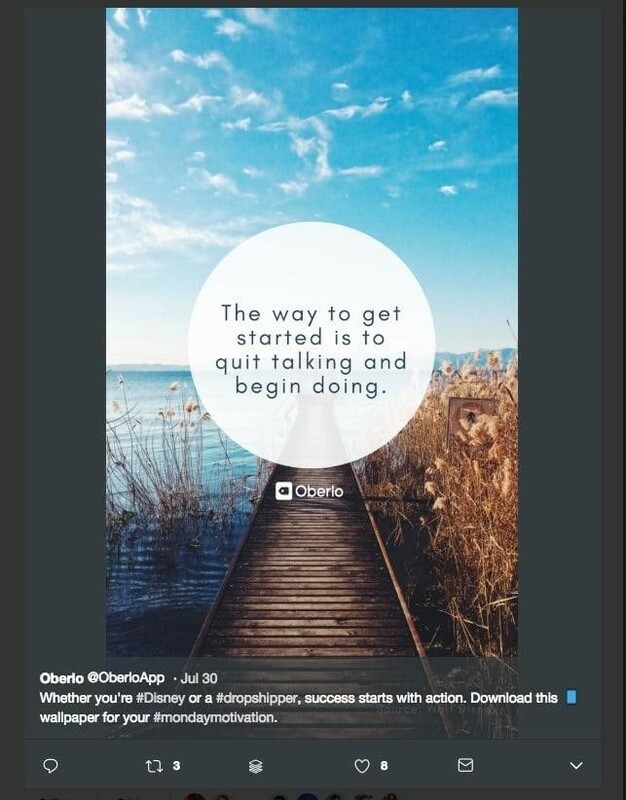 If you are not rolling around in dough or content like Netflix, you can take inspiration from Oberlo’s empathy route for Twitter marketing. It is basically a drop shipping platform that targets new entrepreneurs and small businesses. Just by scrolling through their tweets, you can easily see their approach. 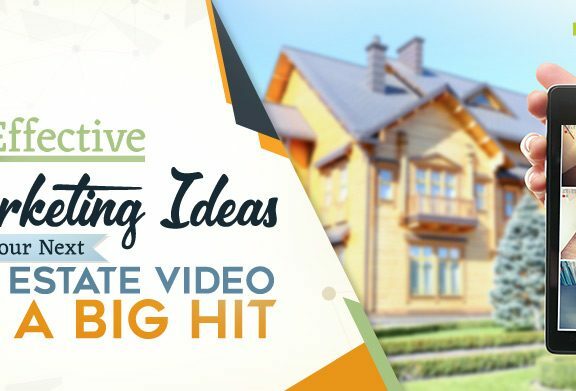 They employ a heady blend of educational and motivational content to create that buzz. It resonates with their target audience and play at their heart’s strings, since these are the two things that most struggling entrepreneurs aspire to. Just like any other B2B company, they also offer you E-books, share blog posts and case studies. To top it all off, they also give a healthy dose of personal inspiration to their followers on Twitter to keep them motivated and engaged. Amusing retweets and social media trolling are what you never associate with brands on social media. Merriam Webster’s social media team is famous for all this to an extent that they constantly make the headlines in mainstream publications such as Time, Vice and The Shorty Awards. Ever wondered how they manage to spice up such a drone topic? 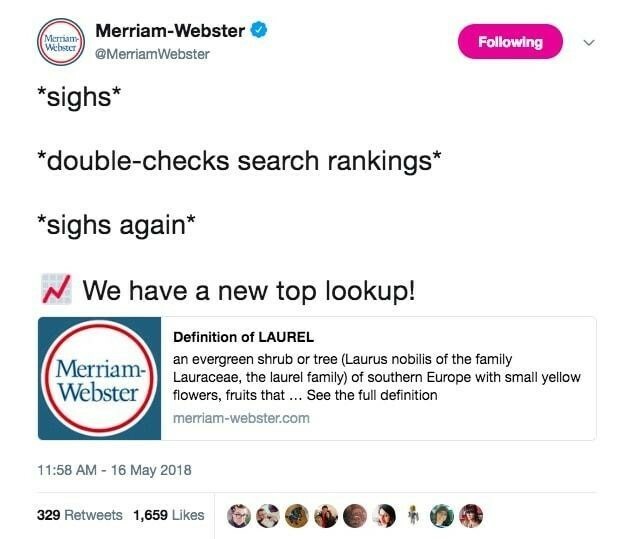 Merriam Webster’s twitter account is some food for thought. They harnessed the power of proprietary data and mastered the art of newsjacking. Most of their tweets are based on trending topics and upcoming events. They keep sharing top searches and lookups to keep their Twitter followers hooked. Here is how Merriam Webster reacted to YannyLaurel debate earlier this year. Information is presented without any comments, leaving room for user opinion. This also makes it an ideal choice for quote tweets and quote based tweets. Learn from them to make a dry topic interesting just like digital marketing companies in Dubai do. Learn how to use property data such as statistics to your brand’s advantage on Twitter. Gone are the days when you only have to ensure your brand presence on a couple of social platforms. Today, you need a separate social media marketing strategy for each channel. 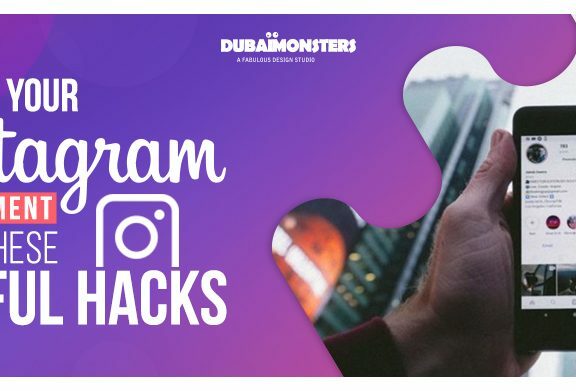 Sharing fresh, original content on all these social channels is not possible especially for small businesses who don’t have a massive budget. This is why smart brands such as ShineText and many more repurpose their content to use the same content in multiple ways and share it on different social channels. ShineText is, in essence, a daily messaging service and motivational app. It means that they must continuously churn out a fresh stream of content for myriad social media channels. They recycle a substantial portion of old content and reuse it across different social networks. If you do an analysis of their brand profile on different social networks, you will the same message popping up many times on different social networks but with a unique spin to stop it from sounding redundant. Close.io is a sales customer relationship management tool for small businesses and startups. Close.io makes their Twitter handle stand out by sharing educational content with a fun voice that most sales representatives can relate to. You can see the difference as soon as you land on their Twitter profile. The big, bold header image is a simple mockup animation of their software but with a fictional Bluth Company from cult TV hit “Arrested Development” as the company using their tool. Scroll down and you will see tweets about dry business and sales topics but with the addition of gifs and emojis. This, along with their causal, startup-friendly tone, makes it interested and engaging for their twitter followers. Even their product promotion tweets are playful and fun, which is way better than monotonous and tedious reviews proliferating on other brand’s Twitter profiles. What’s so great about all this is that you don’t need a big budget, create a lot of content for it or even run a campaign for it. Which brands do you follow on Twitter and why? Feel free to share it with us in the comments section below. 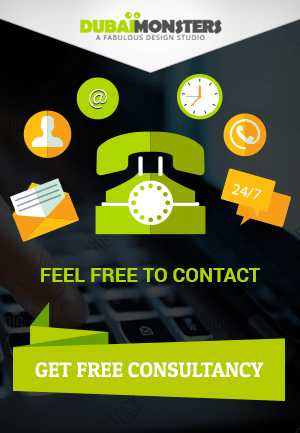 Sarmad Hasan is a content marketing expert at Dubai Monsters. He writes on wide range of topics ranging from web design to logo design, mobile app development to digital marketing and everything in between. Sarmad is an avid reader and loves to learn new things and share his experiences with the world.